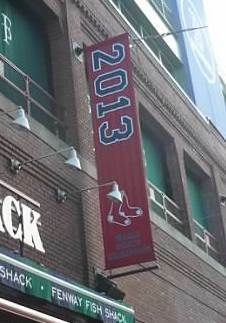 Early November sun rises up over Fenway Park. 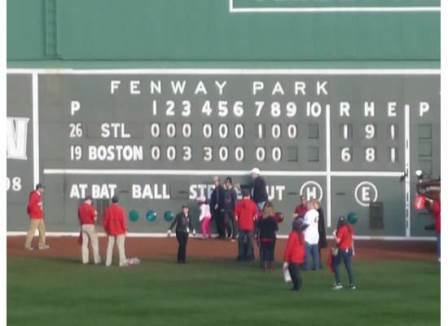 The final from Game 6 lingers on the Fenway Park scoreboard. 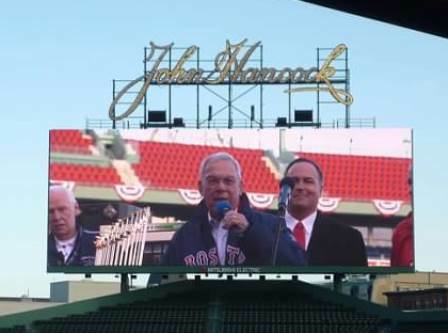 Mayor Thomas Menino says a few words in what will likely be one of his final acts as an employee of the City of Boston. 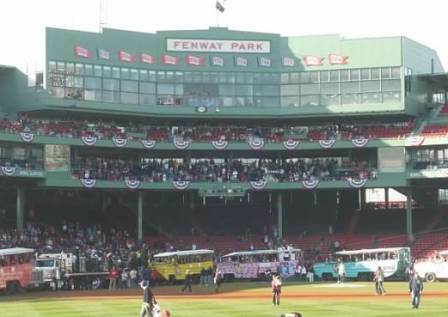 The view from Grandstand Section 12. 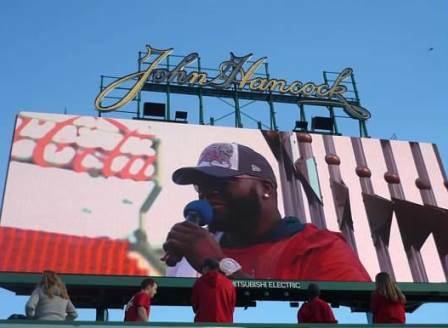 David Ortiz takes the microphone. 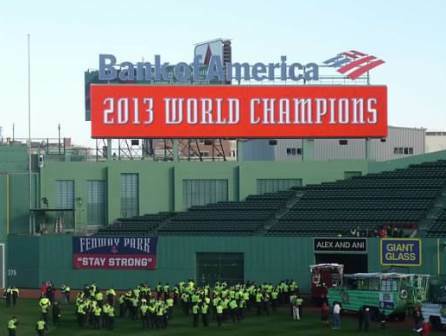 After a long summer of pitch counts and situational splits, there is only one statistic left to post on the center-field scoreboard. 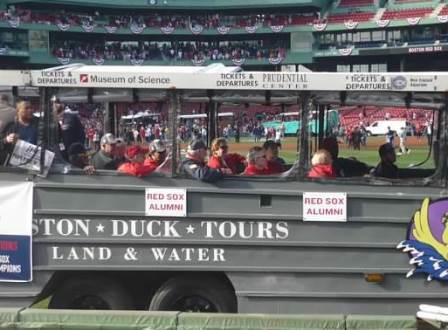 The 2013 World Series trophy boards the owners’ duck boat. 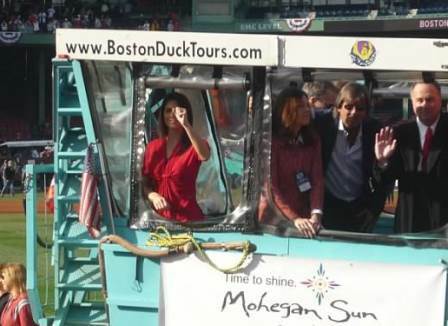 The NESN crew and that moment when Dennis Eckersley realized people could see into the duck boat just as well as he could see out of the duck boat. 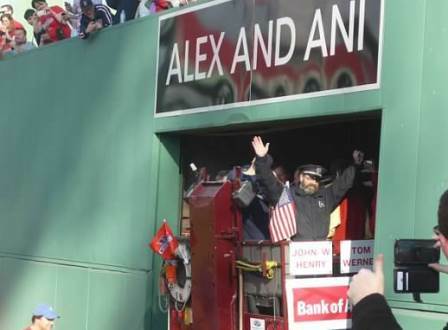 Don Orsillo offers a tentative wave. 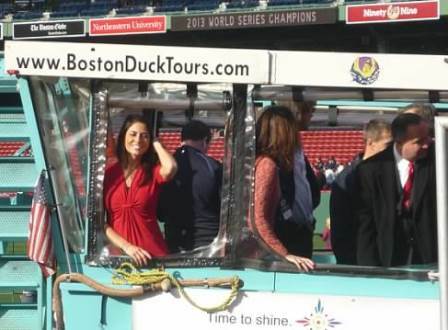 And then there’s Jenny Dell. What a ham. 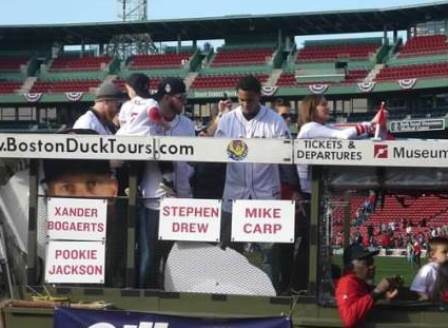 Xander Bogaerts, Stephen Drew, Mike Carp and, well, they had to put Pookie Jackson somewhere. 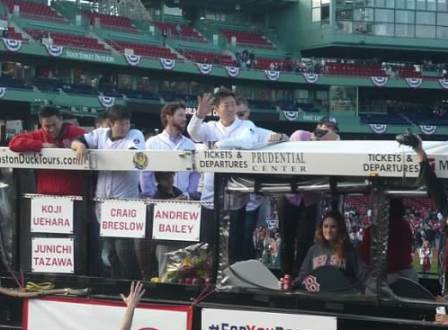 The three top guys in Boston’s bullpen: Koji Uehara, Junichi Tazawa and Craig Breslow. 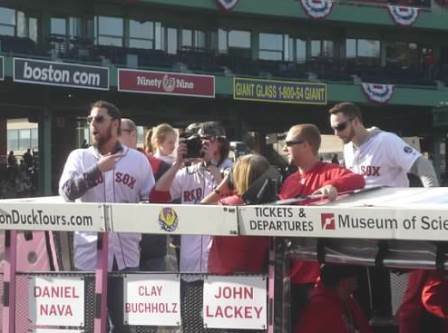 John Lackey, Clay Buchholz and Daniel Nava. 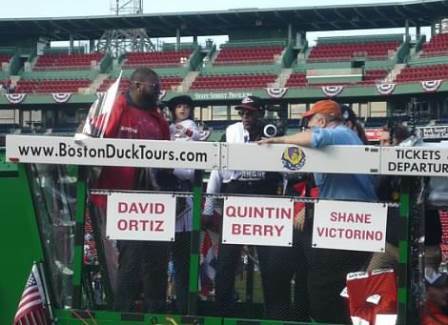 David Ortiz shows off his Series MVP trophy. 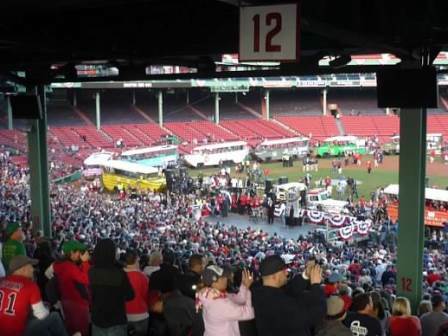 The Red Sox alumni paced themselves for a long afternoon. 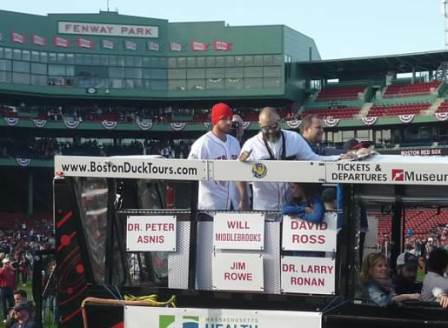 Will Middlebrooks and David Ross. 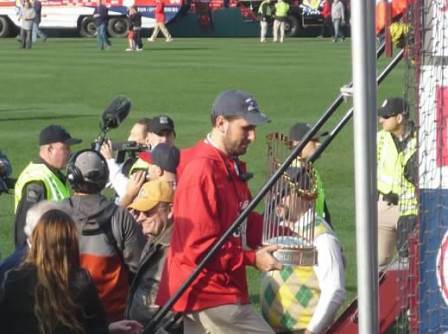 And of course, bullpen cop Steve Horgan, who may never put his arms down again at this rate.